Some people prefer Split Pea Soup thin and creamy. My preference is for a thick, chunky-with-vegetables soup that easily becomes a meal in itself. 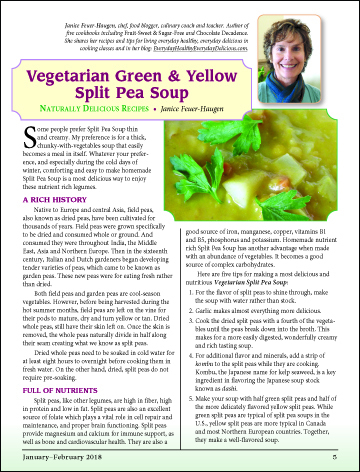 Whatever your preference, and especially during the cold days of winter, comforting and easy to make homemade Split Pea Soup is a most delicious way to enjoy these nutrient rich legumes.